Applications are invited from suitably experienced and qualified UK & Ireland Blockchain members for the role of a UK & I Blockchain Group Secretary. IEEE UK and Ireland Blockchain Group is a newly formed Group, the first Group in Region 8. We now have over 120 members. The aim of the Group is to serve members in creating a forum for professional networking, learning, and growing of the rapidly emerging Blockchain field and to organise events covering the start-of-the-art in Blockchain technology and applications. We plan to formally launch the Group in the autumn of this year. The Group Secretary is required to assist the Group Chair in coordinating the affairs of the Group. The Group Secretary role typically requires 2-3 hours a week, and at peak periods over 3 hours per week, but most importantly, the role requires someone who will be accessible and available. 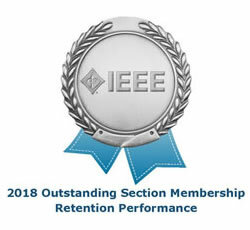 There is a requirement to attend IEEE UK and Ireland Section Meetings. To apply for the post, please indicate your interest by sending a one-page statement of your interest, experience, dedicated time, and including a CV to the IEEE UK & Ireland Blockchain Group Chair. The closing date for this enquiry is 1st February 2019 and successful applicant will be notified by 6th February.